Rethinking Russia sat down with University of Kent’s Professor Richard Sakwa to discuss his new book Russia Against The Rest, its relations with the West, its role in a new world order as well as its greatest challenges in 2018. On Jan. 30, The U.S. Treasury released the Kremlin Report, which contains a list of 220 Russian officials and businessmen named for “closeness to the Russian regime”. The Kremlin’s spokesman Dmitry Peskov said that he believes the so-called “Kremlin report” may damage the reputation of those blacklisted. 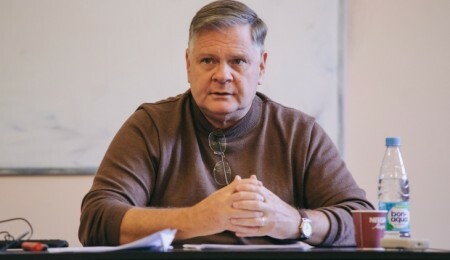 University of Kent’s Professor Richard Sakwa believes that there will be the intensification of an anti-Russian policy in the West in the future. He also writes about it in his new book Russia Against The Rest: The Post-Cold War Crisis of World Order that was released in October 2017. Rethinking Russia sat down with him to discuss the book, Russia’s role in a new global order as well as its greatest challenge in 2018. 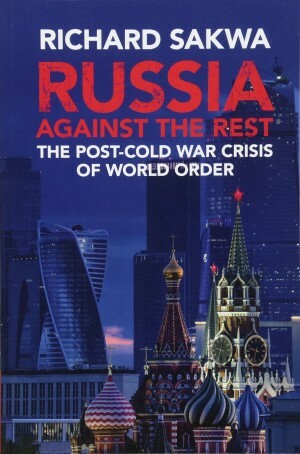 Rethinking Russia: How could you explain the title of your book “Russia Against The Rest”? Richard Sakwa: The point is to stress the numerous challenges facing the country, and that any hint of false triumphalism or achievement is mistaken; but at the same time, the title is not intended to suggest that Russia is isolated or on its own. The aim is to suggest that ultimately Russia has to find its own way in a competitive world. It is about Russia’s self esteem, uniqueness and its sense of challenge and tension. RR: Could you be more specific? R.S. : It means that Russia has to build new alliances and new links with the rest of the world. Some people talk about a new cold war. And indeed, Russia’s relations with Europe are very difficult, while those with the United States are catastrophic. But at the same time, new alliances are being built with the BRICS countries, the Shanghai Cooperation Organization, a range of Asia, African, Latin American and other countries, and above all with China. Russia is far from being isolated. For example, in the Middle East it has, against all the odds, been able to forge good relations with almost all countries, including with countries that are bitter rivals to each other, including Saudi Arabia, Turkey, Israel and Iran. The intervention in Syria since 2015 has so far avoided some of the predicted catastrophes, and has re-inserted Russia as a major player not only in the Middle-East, but in broader global politics. This, of course, has provoked enormous dissatisfaction among the traditional hegemonic powers, who have effectively dominated unilaterally since the end of the Cold War. RR: You just mentioned a cold war. Some experts talk about a cold peace. How could we describe the current geopolitical situation: a new cold war or a cold peace? R.S. : What I argue is that after the end of the cold war, in 1989, we effectively entered in the 25 years of the cold peace: from 1989 to 2014, in which none of the fundamental problems of world order and European security were resolved. In those years, we had two models of world order — the Russian and the Western ones. The former was presented by Soviet leader Mikhail Gorbachev and other thinkers like former Foreign Minister Yevgeny Primakov. They argued for the transformation of the world politics. They were thinking in the post-Marxist terms. They were thinking that there is no longer any need for the ideological confrontation, therefore, there is no need for geopolitical contestation, and thus we can build a cooperative new security order. After all, 1989 did not just put an end to the Soviet practices of revolutionary socialism, but to the whole epoch opened up by 1789 – the revolutionary transformation of society, which remained as much a challenge to the West as to other countries. 1989 of course was not just an end, but also contained the potential for a new beginning. This is what I call the new World Order 1. But instead of this, the West responded with what I call the new World Order 2 (the western model). The new World Order 2 is simply the enlargement of the existing system, the enlargement of NATO, the European Union, the whole Atlantic system, accompanied by the Hegelian ideology of Francis Fukuyama’s End of History. Ultimately Russia said that simple and unmediated enlargement was not good enough. The Russian establishment wanted to establish a new cooperative security order, in which Russia was a founder member. In other words, the historical West was to become a greater West with Russia’s addition, in which Russia’s own transformation becomes part of the greater order. On the European level, the counterpart was the transformation of narrow ideas of integration into what Gorbachev called the common European home, what French President Francois Mitterand called the confederation of Europe, and what Russian leaders call ‘greater Europe’. That was the idea. Unfortunately, the New World Order 2 is accompanied by American triumphalism, the enlargement of the U.S.-led liberal international order. All of this collapsed in 2014, and we have entered a new period of contestation. The cold peace ended, but so too has the old forms of rivalry between the two new world orders. We have entered a new period. RR: Could we call it a new cold war? R.S. 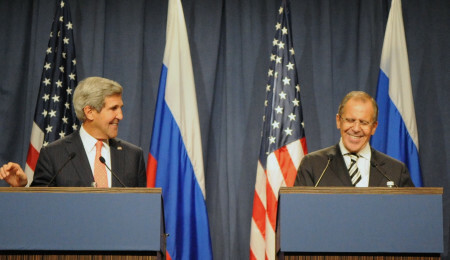 : I don’t want to call it a new cold war, because it is very misleading. The world today is not bipolar, it is not just dominated by big powers, new ideological forces are in play, and the new era has also got the small powers like Ukraine, Poland, and Britain. They can also shape international politics. So, you have the mixture of great powers (the U.S., Russia, China) and the smaller powers. And it is not dominated by ideological confrontation. This is a new face. I call it the new World Order 3, a world of power conflicts, the instability generated by the US’s attempt to restore and maintain its traditional primacy. At the same time new ideas are emerging to challenge the stale power model of new world order 3, and we can call this new world order 4 – which returns to the ideas of new World Order 1, but now given greater force by China’s rise, the growth of some of the economies in the global south, and Russia’s re-assertion into the international system. This challenges the old idea of the U.S-led liberal world order with new ideas. These new ideas range across the field, but above all assert that liberal order is not synonymous with order itself, and that order is possible without hegemony. Indeed, the attempt to maintain the old hegemonic power system is itself disruptive of the rules-based order that it espouses. The post-Cold War interregnum is coming to an end, and a new dynamism to the international system is taking shape. This goes back to the idea of the new World Order 1. The U.S.-led liberal international world order was a time of chaos, war and irresponsible behavior, including the invasions in Iraq, Libya, and attempts to overthrow the government in Syria. After 2014, the anti-hegemonic bloc (Russia, China and India) is rising. It is not an alliance, but at least they are saying that we need a new model of international politics, the politics of transformation, rather than the politics of enlargement. RR: There is a chapter in your book “Resistance and neo-Revisionism”. Could you give specific examples of revisionism or neo-revisionism of Russia or the West? After all some experts accuse Russia of being revisionist because it took Crimea and redrew the map of the world. R.S. : Yes, some people accuse Russia of being a revisionist power. But it is not the case. Neo-revisionism means Russia criticizes the practices of the U.S.-led liberal international order. It does not challenge the order itself. Russia is not trying to destroy the existing international system, the existing system of governance. It just wants more independence in governance for all the major states. Russia’s neo-revisionism is an attempt to defend the world order, not to undermine it. As for Crimea, it certainly was a revisionist act, but I argue it was not part of a revisionist strategy. After all, Russia is not out to destroy the UN system, or to challenge the borders of Europe – Crimea was a very specific moment. RR: Ok, but some experts would fairly say that Russia is undermining the current international system because it took Crimea and indirectly caused the war in Eastern Ukraine. R.S. : My whole book is a counter to this argument. The overthrown of former Ukrainian President Victor Yanukovich in February 2014 was hugely controversial. We cannot simply accept Western narratives on these issues. They are narrow and show absolutely no understanding of the nature of the international system, or even of elementary political decency. I was joking when US and other leaders were among the insurgents on the Maidan that we would like one of those too. It would be odd to have a protest march in Trafalgar Square that then occupied the space, and imagine if foreign politicians came to encourage the occupation..
What the West has failed to understand after 1989 is that its own model of the endless enlargement of the Western centrism actually generates conflicts on the borders, where the system is enlarging. It is not because Russia is revisionist and even anti-Western. Any state in that position would behave in the same way: Russia is a major power with nuclear weapons, a massive army, a huge cultural and historical legacy — and it cannot be viewed just as a simple and secondary element of the expanding Western order. It won’t work. RR: Is it possible to resolve the Ukrainian crisis today if both sides of the conflict remain intransigent? R.S. : First of all, Crimea is a done deal. It is obviously not going to be revised. A second referendum is not going to happen. It is over. Opinion polls show 89% of the Crimean population is still happy with Russia. As for the Donbas, the whole point of the Minsk 2 agreements is a compromise. And what does the Minsk 2 agreement mean? It means that Donbas is planed to return to Ukrainian sovereignty. But you have to have autonomy for the people in Donbas. You have it in Quebec, you have it Wales, and you have it in Catalonia. The question now is how the return to Ukrainian sovereignty can be achieved. Let us find some solution, and that means engaging with all the parties involved, including giving agency to the people of Donbas. Why can’t you have it in Ukraine? The point is not that Russia is not ready for a compromise; it is the West that doesn’t want to make concessions and wants Donbas to capitulate. After all, the U.S. won’t recognize Crimea and makes the mistaken comparison with the Baltic republics after the World War II – which were forcibly incorporated into the Soviet Union, whereas all the evidence suggests that the Crimean population welcomed the return to Russian jurisdiction. Of course, the way the transfer happened represents a disaster for the European security order – but it was symptom rather than a cause of that breakdown. RR: You mention in your book “apocalypses and remilitarization”. What does it mean? R.S. : In my view and the view of the Bulletin of Atomic Scientists, we are closer to a nuclear war today than we were at any time, apart from one period of time in the cold war. And it is more dangerous today, because all the restrains have gone. So, it is gone in Washington, it is gone in London, which are focusing on the Russiagate [the investigation into the Kremlin’s alleged meddling into the U.S. elections and the Brexit referendum — Rethinking Russia]. This is the apocalyptic times, because the Western world is radicalized. I am shocked that we could destroy the government in Libya and lead the country to the medieval times. And then we have a war in Syria. At the same time we were bombing the Islamic State of Iraq and the Greater Syria (ISIS). Meanwhile, the Turks were exporting oil from ISIS, which gave them money for arms and propaganda. And only when Russia destroyed the convoys, did ISIS begin to weaken. The key point is that the sense of victory in the framework of New World Order 2 radicalized the West and the Atlantic system, and in response Russia has also radicalized, opening up a potential apocalyptic scenario. RR: There is another chapter in your book “Toward Post-Western world”. What are the key characteristics of a post-Western world? R.S. : We are moving very fast into a post-Western world. And the first feature is that we can have an order without the Western hegemony. We don’t need the U.S.-led liberal leadership. The second feature is we are emerging in a multi-order or multiplex world. One key aspect is the emergence of the Russian-Chinese alignment. 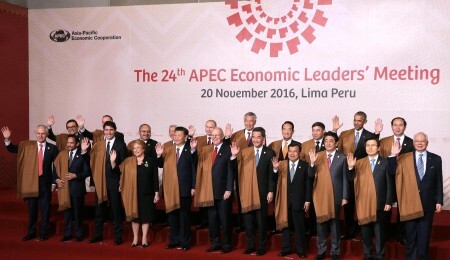 It is not an alliance or a bloc, but with Chinese financial and political muscle we are seeing the emergence of an alternative architecture in terms of financial systems, including the Asian Infrastructure Investment Bank, the One Belt, One Road project, and a massive amount of money flowing into global investments. We are now seeing a post-Western world, in which the U.S.-led liberal international world order is not the only game in town. In a post-Western world we have the Russian-Chinese world order and its allies. We also have what we could call the World Order Zero — the disruptive elements of non-state insurgencies, including above all Islamic Jihadism as well as unlimited computer hacking, uncontrolled cyber warfare, which has the potential to destroy us all. RR: What is the biggest challenge for Russia in a post-Western world? R.S. : This is what we have seen in the recent period: the intensification of the building of the Western alliance on an anti-Russian platform, closing down options for transformation. Russia’s internal challenge is to ensure a more dynamic, more open and more competitive economy and society. Externally, its foreign policy must be careful to maintain principled positions while not reacting to the sea of provocations. The radicalization of elements of the West does not necessarily have to lead to the mirror counter-radicalization of Russian policy. This could have disastrous consequences. Unfortunately, in the conditions of global polarization and tension it is going to be very hard. And the great danger of 2018 is that we are going to see more sanctions from the West, accompanied by repressive actions in Russia itself (banning VPN systems, campaigns against media and NGOs and so on). The danger is that Russia will damage itself. Russia against the rest could turn into Russia against itself. Pavel Koshkin is a fellow of The Institute of U.S. and Canadian Studies at Russian Academy of Sciences. He has PnD from Lomonosov Moscow State University. He is the former editor-in-chief of Russia Direct, an analytical media outlet.